I'm trying to install the Jupiter power settings app but, I read it is no longer compatible with the new kernel. Is there a similar program or a way to manage the power settings on 13.04? Parameters containing blanks must be enclosed in double quotes like this: ""
This controls how agressive the system is at trying to avoid writing to disk. The longer the disk is idle, the more power you can save. This is only active on battery power, and it restores these values to kernel defaults when on AC power. Defaults 5, which enables laptop mode and forces the system to wait 5 seconds whenever something asks to write to disk to flush out as much data as we can. Defaults 60, which means that the kernel will not start forcing process to write out file information that has been changed but not saved until 60% of usable system memory is filled with dirty information. Remove the hash and edit it as conservative. The governor decides what frequency should be used. To use "conservative" over "powersave – especially on AC – should not be a general recommendation but only an option for hardware that produces excessive heat or fan noise. Set the min/max frequency available for the scaling governor. Possible values strongly depend on your cpu. For available frequencies see tlp-stat output, Section "+++ Processor". Hint: Parameters are disabled by default, remove the leading # to enable them, otherwise kernel default values are used. 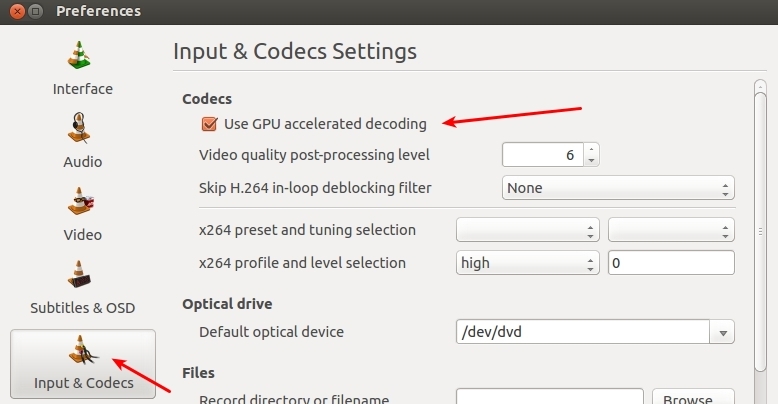 Set the cpu "turbo boost" feature: 0=disable / 1=allow ,Requires an Intel Core i processor and kernel 3.7 or later. Activate kernel NMI watchdog timer (0 = disabled/save power, 1=enabled). A value of 1 is relevant for kernel debugging only. Different values for multiple disks are separated with blanks. Select io scheduler for the disk devices: noop/deadline/cfq (Default: cfq) Separate values for multiple devices with spaces. Enable audio power saving for Intel HDA, AC97 devices (timeout in secs). A value of 0 disables / >=1 enables power save. Set to 1 to power off optical drive in UltraBay (ThinkPads only), when running on battery. A value of 0 disables this Feature (Default). Drive can be powered on again by releasing (and reinserting) the eject lever or by pressing the disc eject button on newer models. Note: an UltraBay hard disk is never powered off. Some times my usb mouse dongle didn't work when i plug it in usb 3 port, work fine when i plug it in usb 2 port, and all my usb 3 devices are working properly no issue. Multiple devices are separated with blanks. After installation TLP will be automatically activated upon system start. You can check Which I/O you are using. TLP_DEBUG="lock nm path pm rf run sysfs udev usb"
The main motivation for VA-API (Video Acceleration API) is to enable hardware accelerated video decode/encode at various entry-points (VLD, IDCT, Motion Compensation etc.) for the prevailing coding standards today (MPEG-2, MPEG-4 ASP/H.263, MPEG-4 AVC/H.264, and VC-1/VMW3). Extending XvMC was considered, but due to its original design for MPEG-2 MotionComp only, it made more sense to design an interface from scratch that can fully expose the video decode capabilities in today's GPUs. By default, the MPlayer version available in the official Ubuntu repositories doesn't support VA-API, but you can use a PPA which provides custom MPlayer builds with VA-API support. How to correctly enable/test VA-API on Intel Sandy Bridge? Command line flag for mplayer to use hardware acceleration? GRUB_CMDLINE_LINUX_DEFAULT=""quiet splash intel_pstate=disable i915.lvds_downclock=1 drm.vblankoffdelay=1 i915.semaphores=1 i915_enable_rc6=1 i915_enable_fbc=1"
Jupiter used to be one of the first things to install after a fresh Ubuntu installation, but unfortunately the application has been discontinued and the old version doesn't work properly in Ubuntu 13.04. But, if battery life is what you're interested in, you can use TLP, a tool that you install and then forget about it because it automatically tweaks your system for better power usage / battery life. I have no personal experience of TLP. Jupiter for 13.04 has arrived! PowerTOP is a Linux tool to diagnose issues with power consumption and power management. In addition to being a diagnostic tool, PowerTOP also has an interactive mode where the user can experiment various power management settings for cases where the Linux distribution has not enabled these settings. ACTION=="add", SUBSYSTEM=="net", KERNEL=="wlan*" RUN+="/usr/sbin/iw dev %k set power_save on"
ACTION=="add", SUBSYSTEM=="net", KERNEL=="eth*" RUN+="/usr/sbin/ethtool -s %k wol d"
Not the answer you're looking for? Browse other questions tagged software-recommendation power-management or ask your own question. Is Ubuntu better on battery than other OS's? How to install Jupiter on Ubuntu 14.04 LTS? Where can I find power manager program in Lenovo Thinkpad E530 edge? Will Ubuntu Server properly manage the power settings on a netbook? Which application controls the power management? Are there power plans for Ubuntu like in Windows 7? How to optimize power consumption for Ivy Bridge? 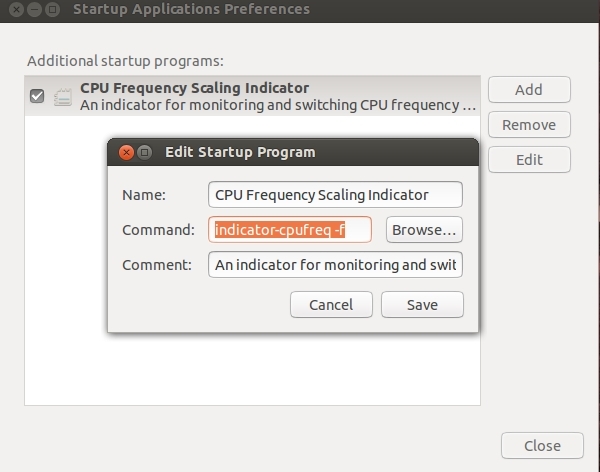 Is there a 'Power Monitor' for Ubuntu GNOME? How to automatically swith between Performance mode and Power Saving mode?